Jacobs, Michael A. (Class of 1975). 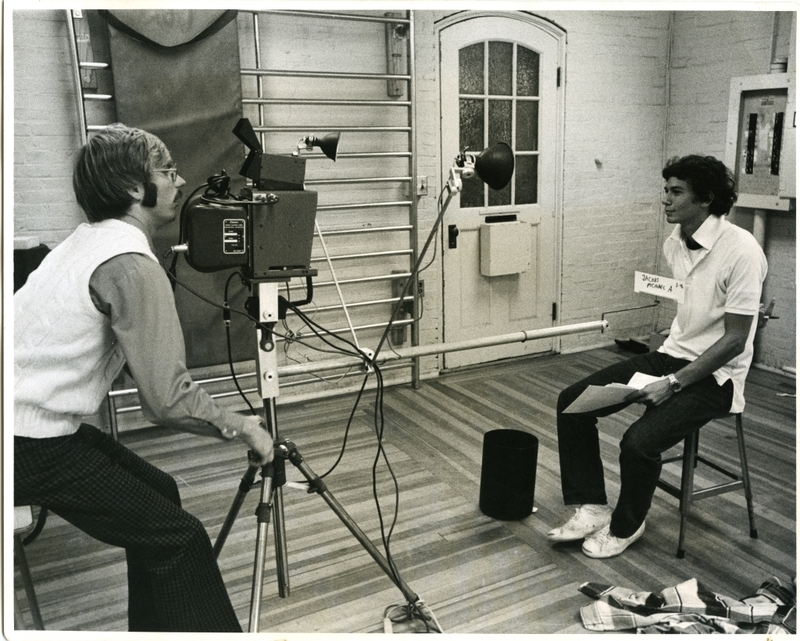 Portrait of Michael Jacobs of the Bowdoin Class of 1975 sitting in front of a camera.